He started a solid professional economic, trade and industry development career in government from (1981-1993). Presidential Management Staff (1981), the Department of Trade and Industry (1982-1989) and NEDA (1989-1993). He has extensive experience in trade and industry development planning, at the forefront of the Tariff Reform Program, Industry development programs, setting up of ASEAN and APEC cooperation programs, technical studies on Countervailing Duty cases, critical consumer products’ price structures and the development of the Foreign Investment Act. This included policy and program development, and project evaluation functions. Guillermo Luz is Associate Director of Ayala Corporation, the holding company of one of the oldest and largest business groups in the Philippines, with business activities in real estate development, banking and financial services, telecommunications, water, infrastructure development and management, automotive dealership and distribution, business process outsourcing, electronics, manufacturing solutions, and new investments in power, renewable energy and infrastructure. He was Executive Vice President and Chief Operating Officer of Ayala Foundation from December 2006 to May 2011, a foundation which manages projects in education, environment, entrepreneurship, arts and culture, and community development. He also served as Director of Ayala Museum from January 2010 to May 2011. He was Executive Director of the Makati Business Club, a leading business organization and think tank, from 1987 to 2006 and served on its staff since 1983. Amb. Bautista was the Former Ambassador Extraordinary and Plenipotentiary to the United Kingdom of Great Britain and Northern Ireland, Republic of Ireland, and Republic of Iceland. He served at the Department of Trade and Industry for five years, the last half of the time as its Secretary. He was the Chairman of several economic agencies in the Philippines including the Board of Investments, Export Development Council, and Industry and Development Council. He started his career with Caltex (Philippines) Inc. as a refinery engineer. He moved on to the Philippine Refining Company, Inc. - UNILEVER - the leading consumer goods company worldwide, where he rose from the ranks to become President and Chairman in 1986. Amb. Bautista holds a Master's Degree in Chemical Engineering from Ohio State University and a Bachelor of Science in Chemical Engineering. He also attended postgraduate management courses within the Unilever "University System", including the Chief Executive Course at IMEDE (now International Institute for Management Development). Amb. Bautista is a recipient of the Presidential Order of Merit and was conferred the Order of Sikatuna - Rank of Datu. He has twice been named the Outstanding Chemical Engineer by the Institute of Chemical Engineers and installed into the Hall of Fame. Upon his return to the private sector in 2003, the President appointed him co-chair of the Task Force for Globally Competitive Industries and the National Competitiveness Council. He chairs the English Speaking Union (Phil) and sits in the boards of the Institute of Corporate Directors, European IT Services Foundation, Institute of Solidarity for Asia, and other organizations. Served at the Department of Trade and Industry for five years, the last half of the time as its Secretary. In this capacity, he played the key role in the development of trade and investment with emphasis on Small and Medium Enterprises. 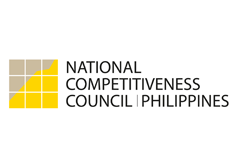 He was the Chairman of a broad number of key economic agencies in the Philippines including the Board of Investments, Export Development Council, Industry and Development Council, WTO/AFTA Advisory Commission, the National Development Corporation, The Presidential Committee on National Museum Development, Cabinet Committee on Tariff and Related Matters, Economic Growth Areas/Zones, etc. He was the Monetary Board Member, representing the President and the Cabinet Man in charge of Region III. He was also named the Chairman of the Presidential Economic Monitoring and Mobilization Task Force to address the impact on Asian financial contagion in the country. Ambassador Bautista is a recipient of the Presidential Order of Merit. He started his career with Caltex (Philippines) Inc. as a refinery engineer. He moved on to the Philippine Refining Company, Inc. - UNILEVER - the leading consumer goods company worldwide, where he rose from the ranks to become President and Chairman, in 1986. He also served as Chairman of two other companies, Biocon (Philippines) Inc. (an Irish firm on seaweed processing) and Inter Natinal Starch Corp. (affiliate of U.S. National Starch Corp). Ambassador Bautista holds a Master's Degree in Chemical Engineering from Ohio State University in the United States and a Bachelor of Science in Chemical Engineering from the University of the Philippines. He attended postgraduate management courses within the Unilever "University System" including IMEDE's Chief Executive Course. In 1998, the University of the Philippines recognized him as the "Most Outstanding Alumnus". In 2010 he was named one of the "Top 100 Engineers" in the course of the centennial of UP College of Engineering. He was also awarded "The Distinguished Alumnus Award" by the Ohio State University. The Philippine Federation of Professional Organizations recognized him as the Most Outstanding Professional in 1989. He had twice been named the Outstanding Chemical Engineer by the Institute of Chemical Engineers and installed into th eHall of Fame. Ambassador Bautista was conferred the Order of Sikatuna - Rank of Datu - President Gloria Macapagal-Arroyo on August 2003 in Malacanang. Upon his return to the private sector after his UK assignment in 2003, the President appointed him co-chair of the Task Force for Globally Competitive Industries and the National Competitiveness Council. He chairs the English Speaking Union (Phil), seats in the boards of Institute of Corporate Directors, European IT Services Foundation, Institute of Solidarity for Asia, Foundation for Global Concerns, Asia-Europe Foundation, Foundation for IT in Education, Philippine Quality Award Foundation, Inc., among others. He represents the Philippines in the ASEAN eminent persons groups, and is the Point of Contact with the U.S. Millennium Challenge Corporation (MCC). He is currently a board director of a number of private corporations. ong others. He represents the Philippines in the ASEAN eminent persons groups, and is the Point of Contact with the U.S. Millennium Challenge Corporation (MCC). He is currently a board director of a number of private corporations.